(DEC. 10. 2018) — One of the most iconic brands in television history will return when Katz Networks, part of The E.W. Scripps Company (NASDAQ: SSP), relaunches Court TV – a new network devoted to live, gavel-to-gavel coverage, in-depth legal reporting and expert analysis of the nation’s most important and compelling trials. For more than 20 years, Court TV brought high-profile courtroom dramas, including the trials of O.J. Simpson, the Menendez brothers and Casey Anthony, into American living rooms. 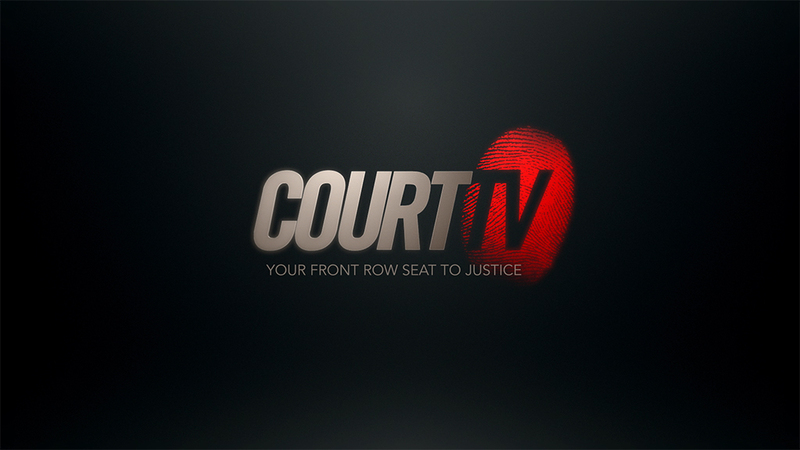 Continuing that legacy, the new Court TV network will launch in May 2019 and run 24 hours a day, seven days a week. It will be available for cable, satellite, over-the-air and over-the-top carriage. It has acquired Court TV’s intellectual property, including the trademark, website and complete, original 100,000-hour Court TV library from Turner Broadcasting. Original Court TV anchor Vinnie Politan will serve as lead anchor. Former Court TV and CNN producers John Alleva and Scott Tufts will join as vice presidents and managing editors. The new Court TV has secured over-the-air distribution agreements with major local TV station group owners including Tribune, Scripps and Univision. These agreements allow Court TV to reach more than 50 percent of U.S. television households at launch, with concurrent cable carriage of 25 percent of U.S. cable homes. Like the original Court TV, the network will be devoted to around-the-clock coverage and analysis of the nation’s top trials. The acquisition of the Court TV assets includes footage of more than 1,000 trials, providing a wealth of content that will allow Court TV to enhance new courtroom coverage, revisit past trials and create original programming and specials. Emmy Award-winning legal journalist Vinnie Politan will serve as the network’s lead anchor. Politan was a popular face on the original Court TV, leading the network’s coverage of the nation’s most compelling trials. A lawyer and former prosecutor, Politan has been covering the world of crime, trials and justice for more than 20 years, hosting legal and news programs on HLN, Sirius XM and, most recently, for the NBC affiliate in Atlanta. John Alleva and Scott Tufts join as vice presidents and managing editors for Court TV. The two have a combined 40 years of experience producing trials for Court TV and CNN. Alleva was the lead producer for Court TV for more than 15 years and managed editorial content and field operations. Tufts spearheaded CNN’s coverage of the O.J. Simpson, Casey Anthony, Jodi Arias and George Zimmerman trials. Distribution Katz already has agreements with local TV station group owners for Court TV to reach more than 50 percent of U.S. television households at launch through over-the-air broadcast, with concurrent cable carriage reaching 25 percent of U.S. cable homes. Tribune Broadcasting will carry Court TV in 22 markets, including New York; Los Angeles; Chicago; Philadelphia; Dallas-Fort Worth; Houston; Miami-Fort Lauderdale; Denver; St. Louis; Seattle-Tacoma, Washington; and Sacramento, California. Eight Scripps markets will carry Court TV, including Tampa, Florida; Detroit; Cleveland; Cincinnati; Las Vegas; Tulsa, Oklahoma; Green Bay, Wisconsin; and Tucson, Arizona. Entravision Communications’ 10 Court TV markets include Boston; Orlando, Florida; and Wichita, Kansas. Univision Communications will carry the network in San Antonio; Albuquerque, New Mexico; and Bakersfield, California. Citadel Communications will air Court TV in Providence, Rhode Island. The Katz Networks are targeted, demo-specific brands leading a new generation of fast-growing broadcast networks created to serve cord-cutters, cord-nevers and subscription-video-on-demand (SVOD) subscribers. Bounce, seen in 91 percent of U.S. households and 97 percent of all target-market, African-American television homes, is the first and only African-American broadcast network and features a programming mix of original and off-network series, theatrical motion pictures, specials, live sports and more. Escape, currently in 93 percent of the U.S., reaches women 25-54 with a brand of programming anchored in stories of crime and mystery. Grit, available in 90 percent of U.S. households, targets men 25-54 with a lineup of western and action movies and series. Laff, covering 93 percent of the U.S., is the nation’s first over-the-air network devoted to comedy around-the-clock, and presents contemporary off-network sitcoms and popular movies geared toward an audience of adults 18-49. Brown Sugar is the popular new streaming service featuring the biggest collection of iconic African-American movies available. And “The List” is the nationally syndicated daily news magazine program featuring everything that’s trending in pop culture.